Available through SPU (from IPG) Ingram, Baker & Taylor or your favorite wholesaler. 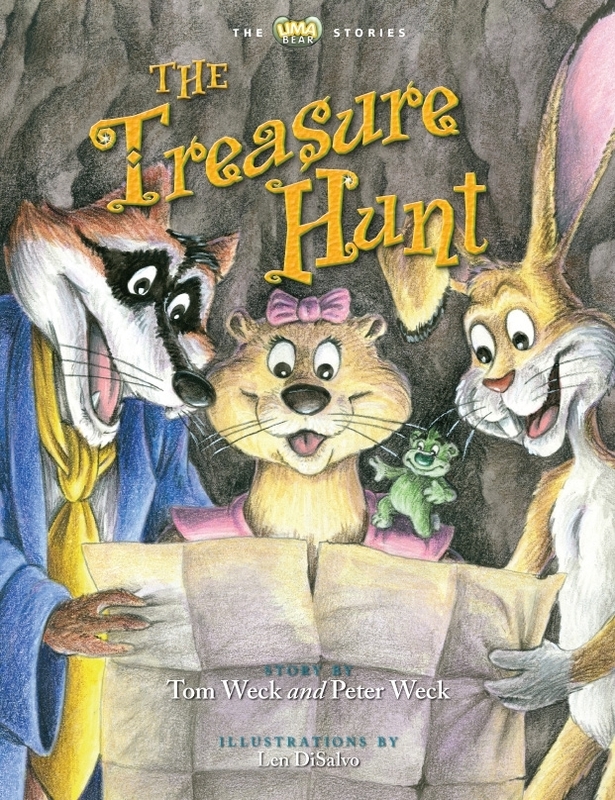 The newest title The Treasure Hunt extends the Lima Bear Stories series to the older children ages 8-12. The same characters that the younger children have come to know and love appear page after page but now on new adventures to delight the older ones. Lima Bear finds a treasure map! He and his friends will be rich! All they need is a big sailboat to take them to Treasure Island. Using all of their money, Maskamal sets off to buy the boat. But two villains learn of the treasure and cheat Maskamal out of both he money AND the map. Will Lima Bear’s clever cousin, L. Joe Bean save the day? How will they work together to get out of this unexpected situation. And will the find the treasure?